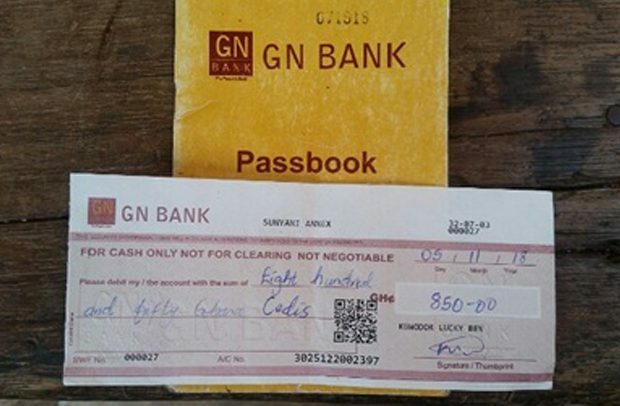 Some customers of Group Nduom Bank (GN Bank) in Sunyani, the Brong Ahafo Regional capital, have complained bitterly about their inability to withdraw their monies from the bank. The aggrieved customers pleaded with the media to make enquires for them, but officials of the bank were hostile to media personnel who travelled to the offices to ask questions. Several attempts by BUSINESS GUIDE to speak to branch managers or regional manager of the bank proved futile. Owing to the problem, many customers besiege the offices of the bank on a daily basis to withdraw their monies. To avoid clashes between the bank officials and customers, several police personnel have been stationed at the bank. Other customers, who pleaded anonymity, told the paper that all efforts to withdraw money from their accounts at the bank had proved futile. Some bank officials and security personnel at Area 4 threatened to beat up reporters from UTV and BUSINESS GUIDE last Friday. The paper was told the branch manager was absent. 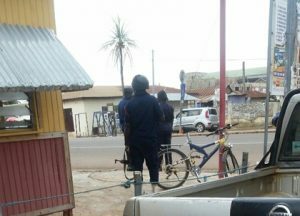 More police personnel guarding GN Bank premises at Sunyani to forestall possible clashes between customers and bank officials.